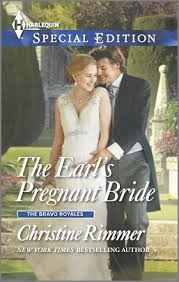 The Earl's Pregnant Bride by Christine Rimmer is a 2014 Harlequin Special Edition publication. I was provided a copy of this book in exchange for an honest review. This story is an interesting take on the friends to lovers trope. Genevra was destined to marry Edward and Hartmore would be hers, the thing she longed for more than anything. But, when Edward dies in a car accident Gen turns to Edward's brother, Rafe. Rafe and Gen has always been the best of friends so an interlude that took place mostly out of a feeling of loss may have been something the couple put behind them until Gen discovers she is pregnant. There is nothing left for her to do but find Rafe and tell him he is about to be father. Rafe of course insist upon doing the honorable thing and so the two get married. But, the marriage appears doomed from the start. Will, the two continue on in a kind of limbo or will they manage to find the truth in their hearts and admit they not only love each other, but are IN love with each other? A couple of things that gave me problems was that Rafe is in love with Gen , we know that from the start, but in intimate moments he shared with Gen, he seems formal and aloof , lacking passion. Rafe does improve in that area in the HEA moments, but still needed to loosen up a little. The story sometimes lagged in places and moved just bit too slowly. What did work was Gen's ability to help Rafe overcome his guilt, talk him into having some work done to help heal the physical scars he suffered in the car accident and the couple realizing they were meant to be together all along. Gen's obsession with Hartmore lessens considerably when she finds out the hard way what is really important in life. The one thing which is tearing at Rafe the most will finally be revealed and the couple will now have the chance to be happy. 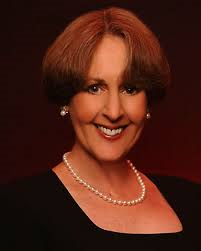 The secondary characters were well drawn, each contributing a difficulty to Gen's finding happiness and there is Geoffrey who will tug at your heart strings because of his mother's coldness toward him. When all is said and done, all the players will either find a way to improve themselves or they will get their just desserts. So, while the romance in this one didn't exactly sizzle and burn it was still a testament to true love and story worth sharing. Over all this one gets 4 stars. Thoughtful review as always, Julie. I so appreciate the work you do here.